Qualified people always in search to get the best opportunities in different fields and professions like school, colleges, universities, or any other field in which they want to build a career. To have a successful career, you have to set your goals and should work on different strategies to achieve their goals in a professional life. Starting own business and getting a respectable job are some of the ways to set your career. Startup idea is best for those who have enough resources otherwise the job is the only option left. But there are not as many jobs as qualified individuals. 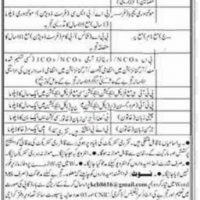 To meet this gap, the government of Pakistan always announce jobs in different fields from time to time. 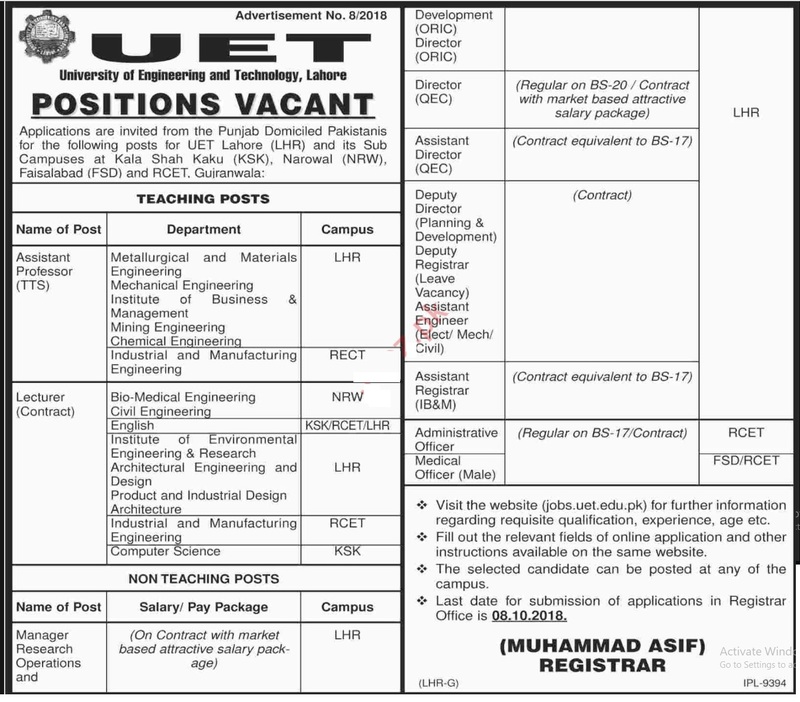 Now the government has recently announced some inspiring jobs in University of Engineering and Technology, Lahore. Fresh and experienced candidates can grab the opportunity and can get ahead in the professional life. All the jobs are on a contract basis and its basic pay scale is 17 or 20. You will get a good salary and many other benefits which a government employee usually enjoy. The recruiter who fulfills the criteria of this job can apply to the University of engineering and technology through the prescribed application form. You will find the complete method on how to apply for the post in the advertisement. You can download the application form on the official website of UET i.e. 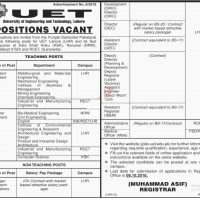 jobs.uet.edu.pk. Here, you will get all information about experiences, qualifications, and age. 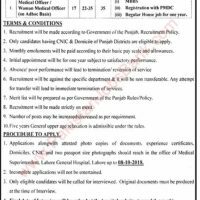 Candidates will send their application form within 15 days of the publication to the prescribed address which is mentioned in the advertisement. You should submit the completed application form with all necessary documents required. The last date to submit their application form is 08.10.2018. There are some terms and conditions which are given below. All recruitments will be on contract basis. Age limit is from 23 to 30 for teaching staff and 21 to 45 for non-teaching staff. Basic pay will be given as per BS-17 and BS-20. The decision of the selection board will be final and no one can challenge it. There will be no TA/DA paid for any post. All applicants will be shortlisted only on the merit basis. The successful candidate will be appointed to any campus of University of engineering and technology. Only shortlisted applicants will be entitled to interview. Above mentioned posts are the best opportunities for unemployed candidates. Best of luck to all.